Ros Armitage is a successful realtor with Compass specializing in luxury real estate in Los Angeles. Ros enjoyed an early introduction to the real estate industry as the daughter of a real estate agent in the North of England where she grew up. This early insight taught her the commitment and dedication it takes to produce a successful transaction and a happy client, her number one goal. 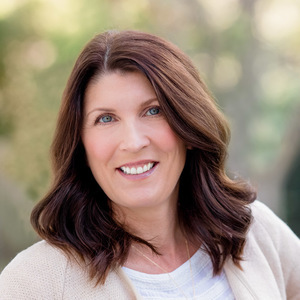 After moving to California with her husband and three children in 2009, Ros pursued a career in real estate to help others with the challenges of buying, selling and leasing real estate in the Westside of Los Angeles. Drawing from her previous experiences in real estate both locally and in the UK, Ros provides her clients with the level of service she would expect to receive herself. In consequence she is a committed, dedicated and professional agent with an eye for detail and who brings enthusiasm and knowledge to every transaction ‚ priding herself on her first class service by making every client feel important and special. She attributes her success to the philosophy of placing clients first, maintaining open communication and keeping them fully informed throughout the entire buying or selling process. "I believe that if you're not left with an amazing experience that you want to share with others, I haven't done my job," Ros says. "I don't measure success through achievements or awards, but through the satisfaction of my clients". Ros is an active member of the Westside community and believes in giving back. She enjoys travel, dining, movies and hiking.